2. 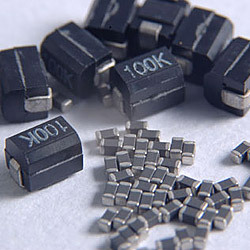 Application: to eliminate EMI / RFI attenuation and suppression. 1. Materials: (1). Body: ferrite. (2). Internal conductor: silver or Ag / Pd. (3). Terminal: Ag / Ni / Sn (lead content 1000 PPM max.). (4). Remark: lead content 1000 PPM max. include ferrite. 2. General specification: (1). Storage temp. : -40°C -- +105°C. (2). Operating temp. : -25°C--+85°C.